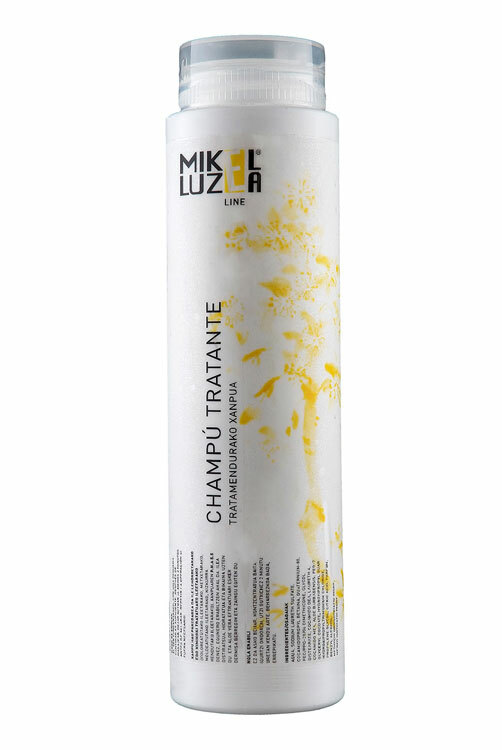 Ideal shampoo for dry or chemically treated hair (dyed, highlights, mouldings, straightened). Its pH 5.5 means you can use it daily, as it is not aggressive. Its concentrated high-performance formula promotes ion neutralization, leaving the hair glossy, hydrated and flawless; and thanks to the aloe vera extract, it protects and regenerates the dermis. As it is concentrated, only a small amount is sufficient. After massaging, leave at least 2 minutes before rinsing. Repeat if necessary.